Photo by Jacqueline Bennett Mardi Gras Parade is part of the fun at the Big E.
Big E day is always exciting! Now in its 99th year, Eastern States Exposition – “the Big E” – brings anticipation of revisiting the tried & true, as well as, curiosity about what will be new and different. 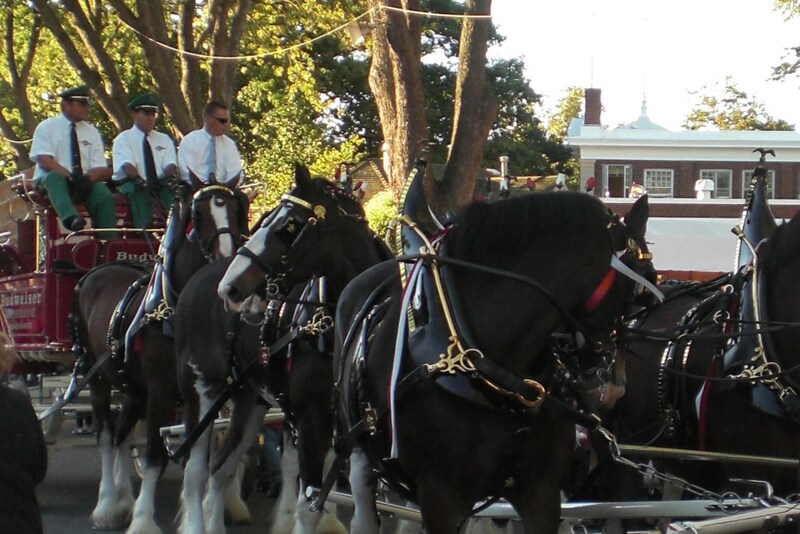 Clydesdales pull the Budweiser wagon. Homage to America’s colonial past. For us, the day starts early with a drive from Connecticut up to West Springfield, Massachusetts knowing the traffic will be heavy either on I-91 North or the “back way” – my preferred route – through a series of small towns surrounded by hints of autumn’s turning trees. Despite the massive parking lots, finding a parking space can be a challenge followed by the walk to the fairgrounds and the lengthy line to get in. 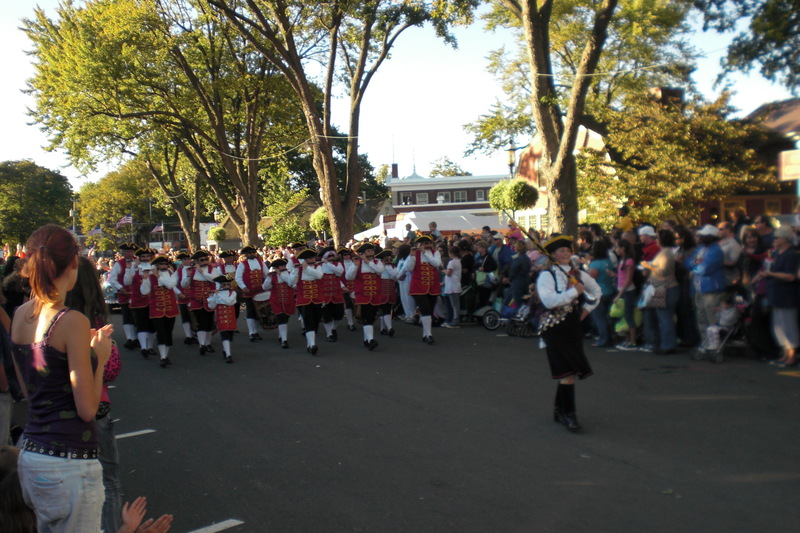 Nonetheless, the “Big E” comes but once a year and it is a special fair celebrating all of the New England states. 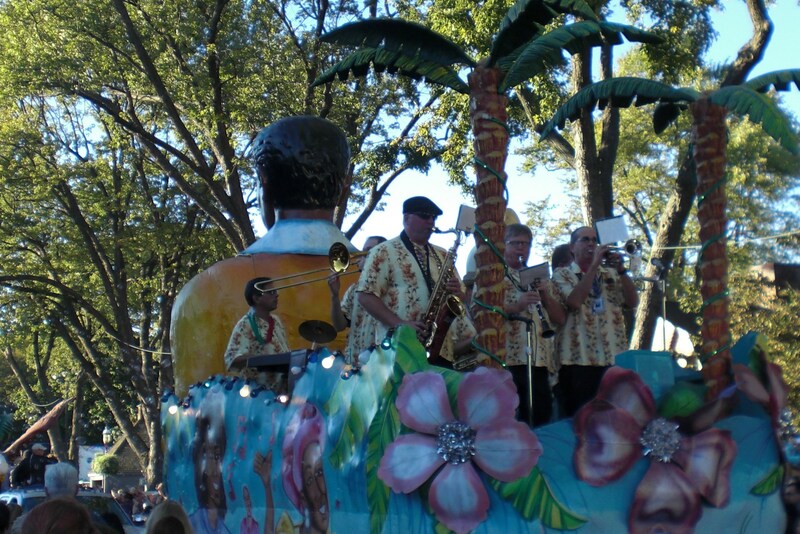 Each state has its own day when home bands take part in a late afternoon parade. My favorite part of the Big E spectacle is the Avenue of States which includes replicas of the state houses from each New England state. Loyal Nutmegger that I am, my pick for best is the Connecticut building. 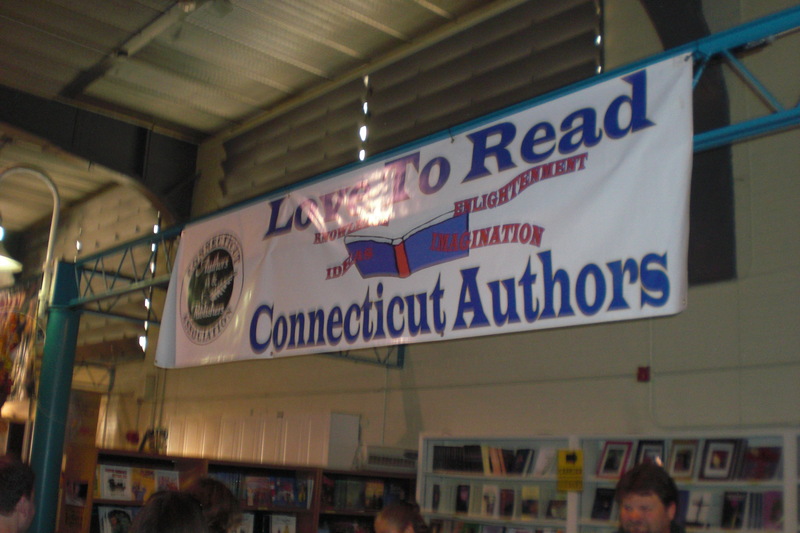 Once inside the Connecticut building, as a writer I gravitate to the “Connecticut Authors” booth. My sister Dixie collecting brochures at the Massachusetts building on the Avenue of States. 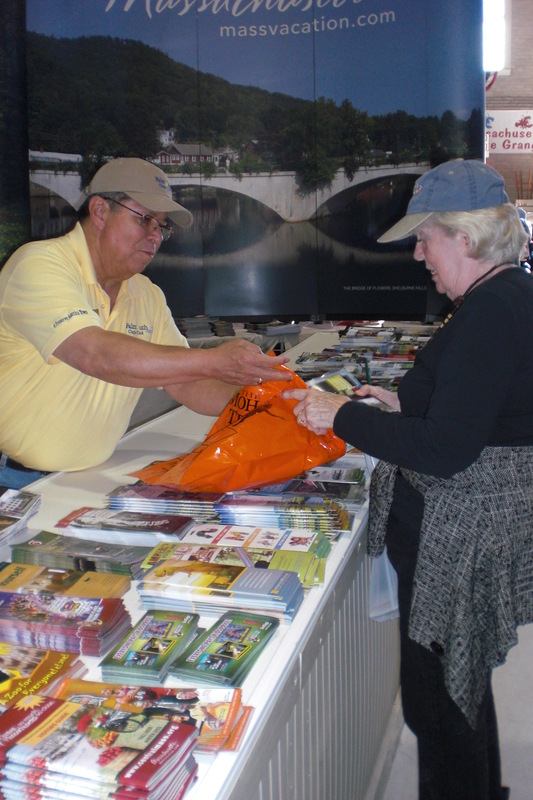 Each building is a showcase of what the state has to offer, and for many gathering up brochures is an annual ritual. One year when I was a reporter for the Windsor Journal, at the Connecticut building I came across a Windsor couple who had launched a home-based spice business displaying their wares – that translated into an interesting story for the newspaper. 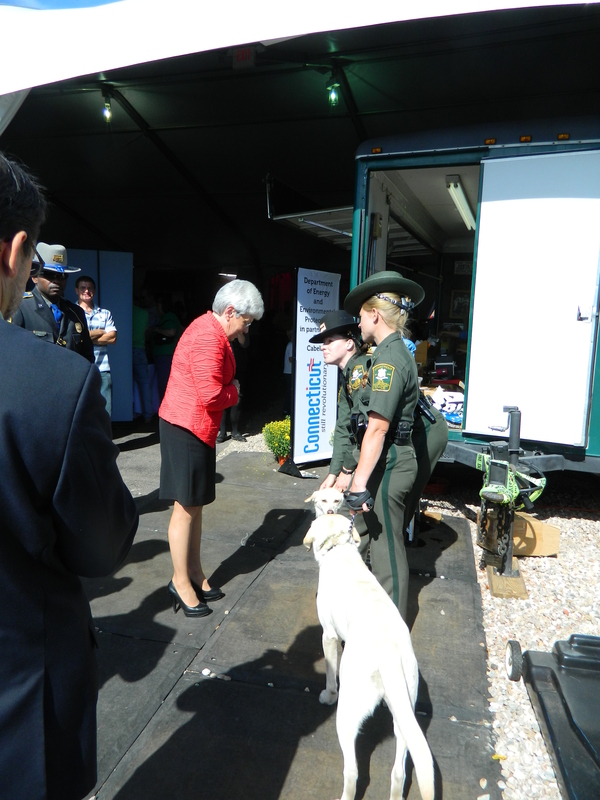 Another year I bumped into Lt. Gov. Nancy Wyman while she was touring the CT building and she graciously posed for photos. Music is a big attraction at the Big E. Concerts are held on multiple stages. I have seen top country performers here such as Tricia Yearwood, Faith Hill and Tanya Tucker. What I also look forward to however, is the terrific area country rock bands that usually perform behind the Vermont building. Food at the Big E is an experience not to be missed. Just beyond the main gate entrance begins a l-o-n-g row of food vendors hawking everything from stuffed pizza to New England Clam “Chowda” in a bread bowl (clear broth clam chowder is sold at the Rhode Island building), fries smothered with every concoction imaginable, deep-fried twinkies, cotton candy, the renown “Big E Cream Puffs” and much, much more. My annual choice is a burger made by the Lions Club which sets up along here. I save room for a baked potato from the Maine building – topped off with a delectable treat, a Cold Hollow Apple Crisp over at the Vermont building. FYI blueberry lovers – blueberry pie can be found at the New Hampshire building. And at the MA building all things cranberry are available. 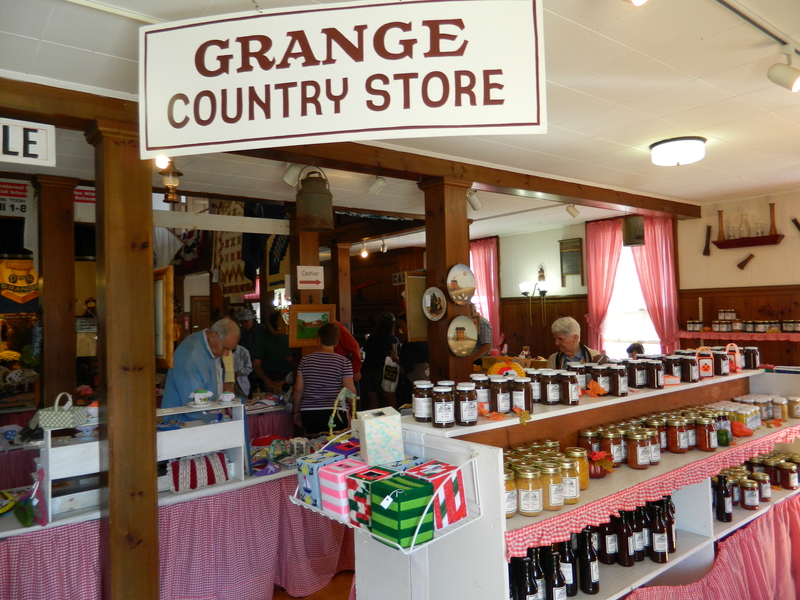 Across from the far end of the Avenue of States is the Grange Hall – this is a fabulous stop. 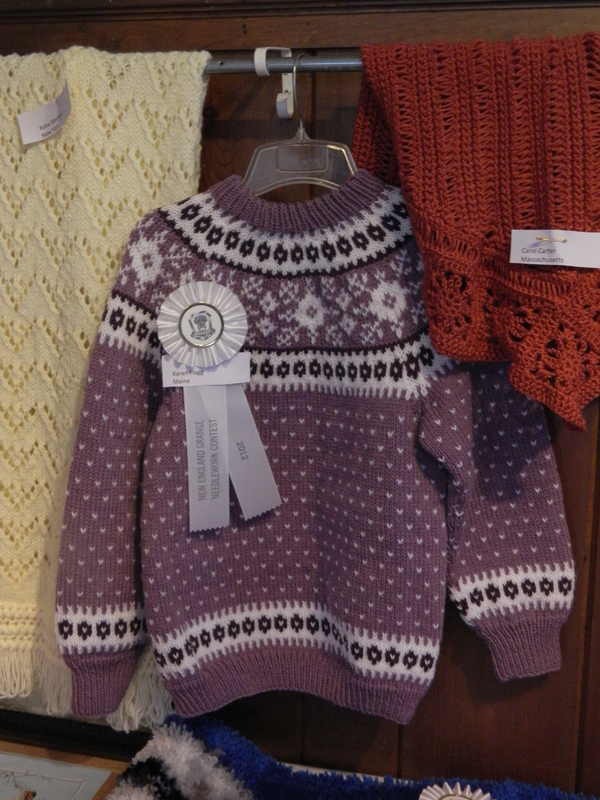 Inside various hand-made and homemade projects from home states are shown. Also across from the upper section of the avenue is Storrowtown – a replica of an early American village. At Storrowton there is a restaurant which used to serve a tasty Yankee Pot Roast (it’s been awhile since I’ve eaten there), and a very popular tavern typically overflowing with patrons. Like a scene out of the Julia Roberts movie “Something to Talk About”, the horse arenas provide a chance to step inside the world of equestrian competitions. The main arena is huge and most often box seats are open, the horses are a magnificent sight and one is left to imagine all the drama going on behind the scenes. It was at the perpetually busy Better Living building – where new products are often shown – that a number of years ago I participated in my first consumer product test. 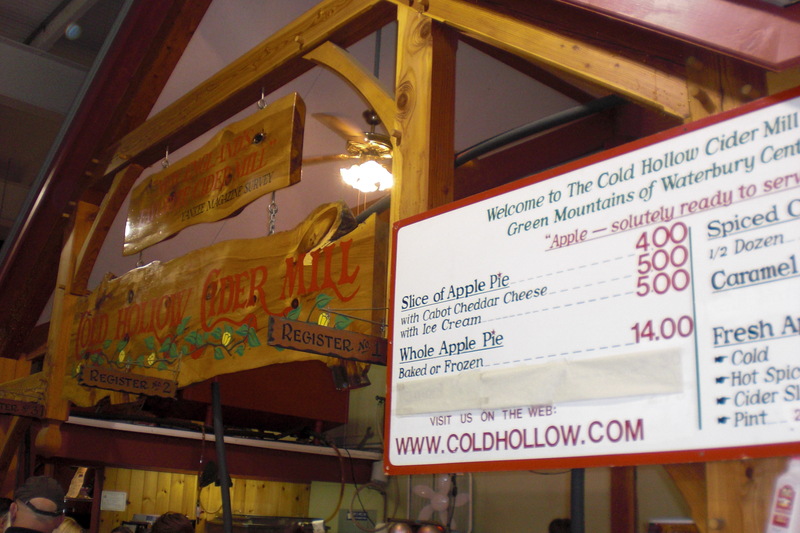 I had attended the fair with a friend and I believe we were asked to evaluate different cider flavors. 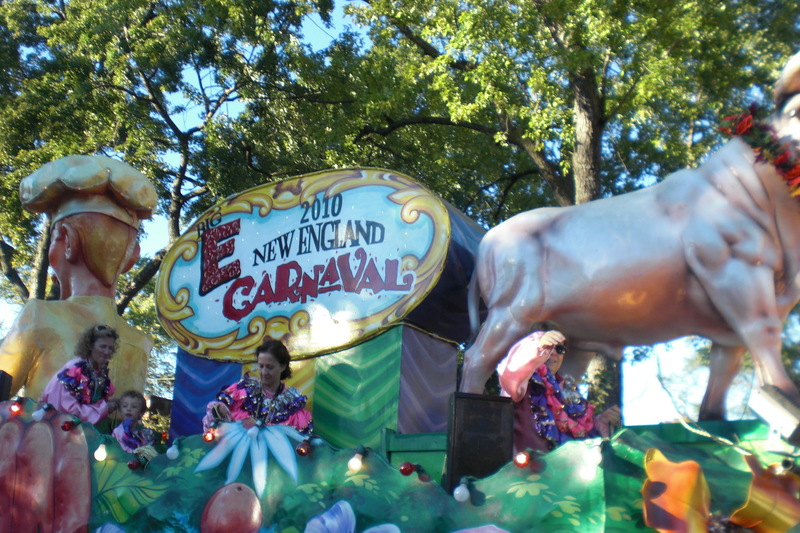 In addition the Big E has carnival rides, livestock contests, a New England Craft Brew Pub, educational exhibits and all that any fair could have. Connecticut Lt. Gov Nancy Wyman greeted ECON officers outside the Connecticut building. This year Military Appreciation Day is opening day Friday, September 18 when The Charlie Daniels Band is scheduled to perform on the Court of Honor Stage at 8 p.m.. Alabama is set to come to the xfinity arena 7:30 p.m. Sunday, September 20 ticket prices $49/$59. 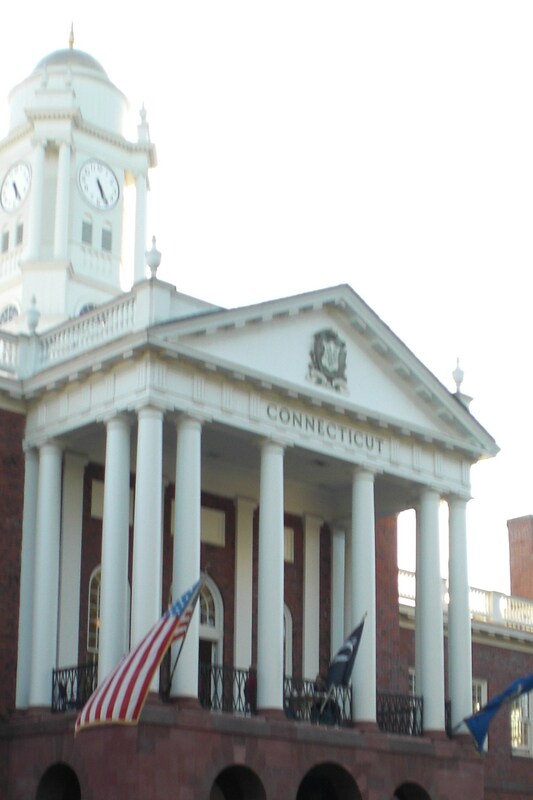 Connecticut Day is slated for Wednesday, September 23. Advance discount tickets can be purchased at the Big Y World Class Supermarkets.